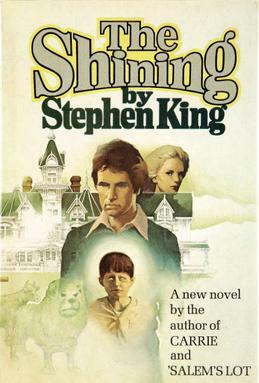 "The Shining," because it reliably scares the bejeezus out of me, and it's a perfect, not-put-downable summer read. I reread "Pet Sematary" last year, and it also continues to freak me out. MacBook? Heh, I guess that isn't really a valid response. Rats. This is a tough one. On one hand, I'd have so much time, so I'd like to tackle some great work that I'd never otherwise have time for, like a volume containing Shakespeare's complete works. On the other hand, I'd have so much time, so I'd like some kind of pulp that I could read repeatedly and not get bored by. I guess I'll go with the Shakespeare (or some other infinitely long classic work, like "War and Peace"), for now. 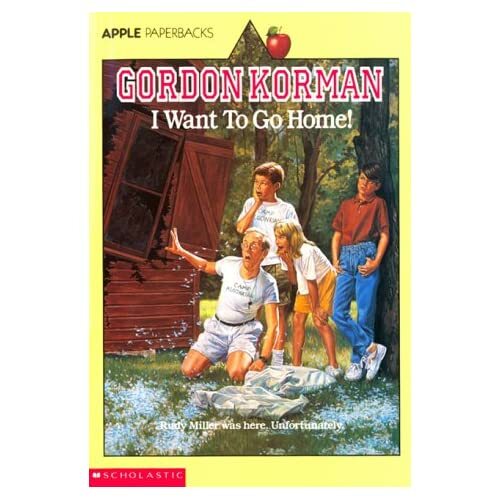 "I Want To Go Home" by Gordon Korman. I think it might be because I first read it when I was extra-young and impressionable - anyway, I thought it was completely hilarious, and every time I've read it since, it has cracked me up. It's about this kid, Rudy Miller, who's a superstar at everything (sports, academics, even crafts) but he's kind of anti-social, so his parents send him to camp, and he spends the entire summer trying to escape. Hijinks, of course, ensue. I read it again 2 years ago and subsequently forced it on DLang, who read it because we're married now and "humour each other's literary preferences" was part of our vows. When I (frequently, and possibly annoyingly) looked over his shoulder and exclaimed, "Oh! You're at that part! Isn't it hilare?" he smiled politely and said, "Yeah, it's cute." Anyway, I don't know if it was lost on him because he didn't read it when he was 10, or because he isn't Canadian, or because he has a crappy sense of humour (just kidding!). Anyway, it still cracks me up. Props to DLang: His work with Scholastic has garnered us copies of Korman's newer works, which I liked but didn't love. 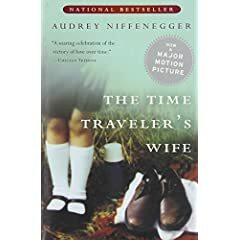 "The Time Traveler's Wife" by Audrey Niffenegger. I finished this on President's Day morning and had to go get a box of Kleenex from the bathroom because I was crying so hard. It's a love story, and it's kind of science-fictiony, and the characters are very real and lovely. 6. One book you wish you had written? 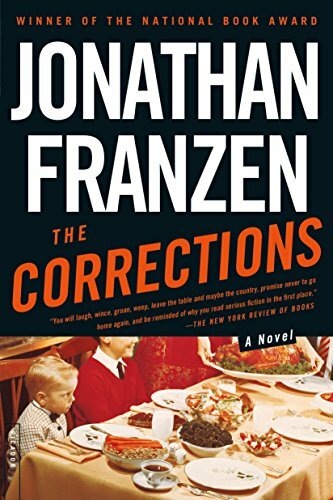 "The Corrections" by Jonathan Franzen I like the structure of this book (sections of the story are told from different characters' points of view), the layers and depths of the relationships (especially within family), the humour, and the honesty. I can very vividly remember scenes from this book, which also says a lot for the writing. Oh, and I ate dinner (vegetarian Chinese takeout) at Jonathan Franzen's apartment last summer. He wasn't there - a friend was subletting it. Nice place. Huh, really? I don't know that I can wish this on a book. Oh, I think a lot of people liked it, but one book I really wish I hadn't read (and I stupidly kept reading because I thought it might have some redeeming quality at some point, and it DID NOT, not even a little bit) was "Jemima J," a book about which Wendy at Pound spewed enough vitriol back in 2003 that I don't have to repeat it here. Just, ugh. 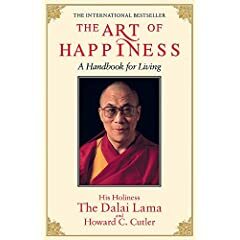 "The Art of Happiness" by the Dalai Lama and Howard C. Cutler. I happened across this book quite accidentally (my yoga instructor was giving away some of her collection, and I picked this up) and it's been so timely in my life that I feel like it was a gift. I'm particularly struck by making the distinction between pleasure and happiness. I recommend it. 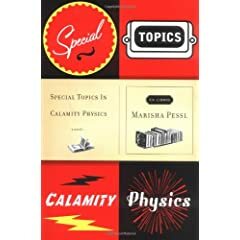 "Special Topics in Calamity Physics" by Marisha Pessl. This book was lauded when it came out last year, and I picked it up immediately, and have been slowly reading it for about 6 months. It's not a hard read, and I enjoy it when I get into it, I just... take a long time in between readings, I guess. I'm not sure why. I would have listed Skinny Legs and All as the book that changed my life. I read it in college, and it encompassed a lot of what I believe? want to belive? about religion and philosophy. I'm a Tom Robbins junky now, and I agree that Jitterbug Perfume is one of his best. And kind of makes me wish that I could make perfumes (it needs a strong bottom note with a light top note) each time I read it.